Statins (3-hydroxy-3-methylglutaryl coenzyme A reductase inhibitors) have neuroprotective effects in experimental stroke models and are commonly prescribed in clinical practice. The aim of this study was to determine if patients taking statins before hospital admission for stroke had an improved clinical outcome. This was an observational study of 436 patients admitted to the National Institutes of Health Suburban Hospital Stroke Program between July 2000 and December 2002. Self-reported risk factors for stroke were obtained on admission. Stroke severity was determined by the admission National Institutes of Health Stroke Scale score. Good outcome was defined as a Rankin score < 2 at discharge. Statistical analyses used univariate and multivariate logistic regression models. There were 436 patients with a final diagnosis of ischemic stroke; statin data were available for 433 of them. A total of 95/433 (22%) of patients were taking a statin when they were admitted, rising from 16% in 2000 to 26% in 2002. Fifty-one percent of patients taking statins had a good outcome compared to 38% of patients not taking statins (p = 0.03). After adjustment for confounding factors, statin pretreatment was associated with a 2.9 odds (95% CI: 1.2–6.7) of a good outcome at the time of hospital discharge. The proportion of patients taking statins when they are admitted with stroke is rising rapidly. Statin pretreatment was significantly associated with an improved functional outcome at discharge. This finding could support the early initiation of statin therapy after stroke. Statins inhibit 3-hydroxy-3-methylglutaryl coenzyme A (HMG-CoA) reductase, which converts HMG-CoA to mevalonate, a precursor of cholesterol, and are widely used for the treatment of hypercholesterolemia. These agents have also been proven to significantly reduce the risk of heart attack and stroke in patients with proven coronary artery disease [1–4]. They have also been shown to reduce the risk of transient ischemic attack (TIA) but not stroke in elderly individuals at risk of vascular disease . Some of these cardiovascular protective effects may be through mechanisms other than lipid lowering, including the modification of endothelial function, anti-inflammatory effects, increased plaque stability, and reduction in thrombus formation [6, 7]. Because statins are increasingly being prescribed for lipid lowering and secondary prevention in patients with coronary heart disease, it is likely that an increasing number of patients will be taking statins when they suffer a stroke. This rate is likely to further increase with the report of the Anglo-Scandinavian Cardiac Outcomes Trial – Lipid Lowering Arm (ASCOT-LLA) – study showing a protective effect of statins in elderly hypertensive patients with average cholesterol concentrations . In experimental stroke models, statins have been reported to reduce infarct size and exert neuroprotective effects independently of the serum cholesterol level, as well as to enhance functional recovery after stroke [9–12]. These are postulated to be through anti-inflammatory effects and modification of endothelial function, in addition to angiogenesis, neurogenesis and synaptogenesis [9, 10, 12–14]. Statins may lead to up-regulation of endothelial nitric oxide which augments cerebral blood flow [9, 10]. Further, withdrawal of statins has been shown to abrogate stroke neuroprotection . Statins have been reported to protect against stroke events in stroke-prone spontaneously-hypertensive rats and ameliorate stroke severity by inhibition of superoxide production and modulation of inflammation in the brain . The effect of statins on stroke severity and outcome has not been comprehensively studied in human stroke. We hypothesized that patients with ischemic stroke who were taking statins before admission to hospital would have a better outcome on hospital discharge. This was an observational study of consecutive patients admitted to the National Institutes of Health (NIH) Stroke Program at Suburban Hospital, Bethesda, MD, between June 2000 and December 2002 . A total of 577 patients in the stroke registry and their medical records were reviewed. All patients had given informed consent to the use of their medical records. Of those 577, 436 (75.6%) had a final diagnosis of ischemic stroke, 89 (15.4%) patients had transient ischemic attack (TIA), and 52 (9.0%) had intracranial hemorrhage (ICH). Exclusion criteria were age less than 18 years, ICH, TIA, and patients with in-hospital stroke. Self-reported or family-reported risk factors for stroke were obtained on admission. These were hypertension, diabetes mellitus, coronary artery disease, atrial fibrillation, hypercholesterolemia, previous stroke, previous TIA, history of infection one week prior to the stroke onset, and cancer (defined as history of treatment). Smoking was classified into: current smoker, former smoker, and non smoker. Some relevant medications patients were taking prior to admission were also recorded; these were statins, other lipid lowering drugs, and antiplatelet (aspirin, clopidogrel, aspirin-dipyridamole combination, ticlopidine), and anticoagulant (coumadin) therapies. The admission National Institutes of Health Stroke Scale (NIHSS) score [17, 18] and discharge NIHSS score were prospectively measured. The NIHSS score was categorized into three clinically accepted levels (<6 [mild], 6–15 [medium], >15 [severe]) for the statistical analyses. Subtypes of ischemic stroke  were reviewed at the time of discharge. The modified Rankin scale [20, 21], recorded at the time of admission and providing a measure of pre-stroke morbidity, was available in 281 patients. Non-fasting total serum cholesterol, high-density lipoprotein (HDL), low-density lipoprotein (LDL), triglycerides (TG), and white blood cell (WBC) and platelet counts were measured immediately after admission to hospital. The median time of the blood sample was 3.0 hours after the onset of stroke symptoms (range: 0.15–127 hours). The modified Rankin score was recorded at the time of hospital discharge (n = 393). The median length of stay was five days. Good outcome was defined as a discharge modified Rankin scale score < 2. Continuous data are presented as means with standard deviations (SD), and categorical data are presented as frequencies and percentages. Student t-tests and the Wilcoxon Rank-Sum test were used for bivariate analyses of continuous data. Differences between proportions were evaluated by the χ2 test or Fisher's exact tests. To identify potential confounding variables for clinical outcome after stroke (discharge Rankin scale < 2), multivariate logistic regression modeling was used. All variables significantly associated with outcome in univariate analysis were included in the multivariate model. Cases with missing data were excluded. Two-tailed significance tests were used, and a probability value of 0.05 was considered significant in both univariate and multivariate analyses. Statistical analyses were performed with the use of the statistical program SAS version 8.2 (SAS Institute Inc., Cary, NC, USA). There were 436 patients with a final diagnosis of ischemic stroke, 228 (52.3%) of whom were female. The mean age of the patients was 74.8 ± 14.2 years. Data on statin use were available in 433 patients, 95 of whom (22%) were taking a statin when they were admitted to the hospital (Figure 1). The rate of statin pretreatment increased from 9/56 (16%) in 2000, to 29/161 (18%) in 2001, and 57/216 in 2002 (26%). Only one patient was taking a non-statin drug for lipid lowering (gemfibrozil). The statin used was simvastatin (41 patients), atorvastatin (37 patients), pravastatin (nine patients), lovastatin (three patients), cerivastatin (one patient), and unknown (four patients). The overall cholesterol and LDL values were low in this population, with a mean cholesterol value of 191.4 ± 45.2 mg/dL and LDL value of 111.8 ± 39.4 mg/dL. Compliance with statin use was not available, but lower LDL and cholesterol values were seen in patients taking statins. Data on statin use were available in 433 patients, 95 of whom (22%) were taking a statin when they were admitted to the hospital. During the hospital admission, statins had been discontinued in 50 of these 95 patients for clinical indications, while 56 of the 338 patients who had not been pretreated with statins were taking statins by the time of hospital discharge. The variable commencement and duration of statin treatment in-hospital and the variable length of stay made it very difficult to definitively assess any effectiveness of statin treatment over the short in-hospital period (median length of hospitalization: 5.0 days). Hypertension (p < 0.06), diabetes mellitus (p < 0.02), coronary artery disease (p < 0.001), and infection during the week prior to stroke onset (p < 0.009) were more common among patients who were taking statins at this time. The rate of preceding infection was 13% in patients taking statins compared to 5% in those not; the corresponding total white blood cell count values in patients with an infection prior to stroke onset were 12.9 ± 7.0 for patients taking statins and 14.2 ± 15.1 for patients not taking statins (p = 0.27). Patients who were on statins were more likely to be receiving anticoagulant and/or antiplatelet therapy at the time of stroke admission (p < 0.001, Table 1). A total of 76/161 (47%) of patients with a history of hyperlipidemia were taking statins, while 45/104 (43%) of patients with a history of carotid disease were taking statins. There was no difference in admission Rankin score (measure of prestroke disability) between patients on statins prior to stroke onset and patients not taking statins. WBC, white blood cell; HDL, high-density lipoprotein; LDL; low-density lipoprotein; TG, triglyceride; TIA, transient ischemic attack. Stroke severity, as measured by the admission NIHSS score, was constant over the two and a half year period of the study, the median value being 4.0 (range 9–33). There was no significant difference in stroke severity between patients taking statins and those not (p = 0.50). There was also no significant difference between statin use and ischemic stroke subtype by TOAST classification (p = 0.4). Table 2 shows the association between clinical factors and clinical outcome. Data on the discharge Rankin score were available in 393 patients. 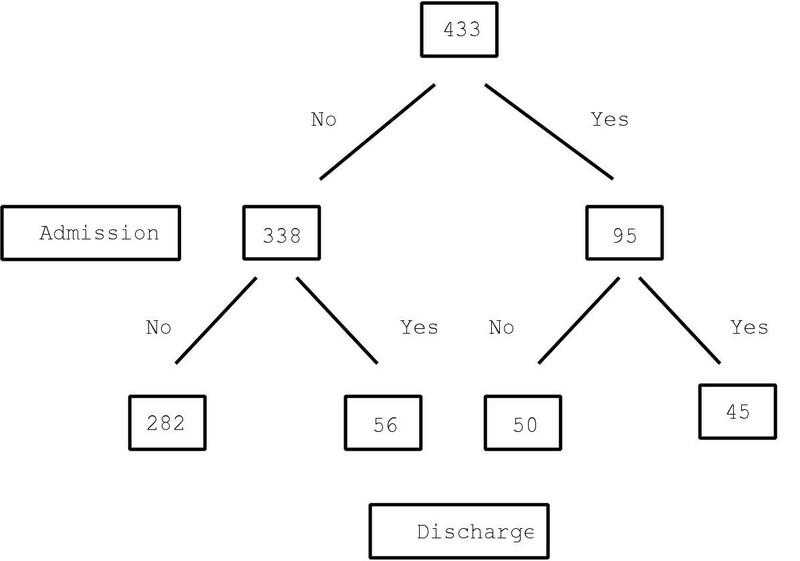 One hundred and sixty-one (41.0%) patients had a good outcome (Rankin score < 2 at discharge). The proportion of patients taking statins and achieving a good outcome was 43/84 (51.2%) compared to 118/309 (38.2%) for patients not taking statins (p= 0.03). The other factors associated with good outcome at discharge were younger age (p < 0.001), lower admission NIHSS score (p < 0.001), no history of prior stroke (p < 0.001) and lower total white cell count (p < 0.001), no history of hypertension (p = 0.003), atrial fibrillation (p = 0.05) or hyperlipidemia (p = 0.005), and male gender (p = 0.02). The mortality rate for patients taking statins was 6/84 (7.1%) compared to 30/309 (9.7%) for patients not taking statins (p = 0.70). There was no significant relationship between outcome and total serum cholesterol, HDL, LDL, or cholesterol/HDL. *All comparisons were significant after Bonferroni correction for multiple comparisons. †Fisher's Exact test, p < 0.05. WBC, white blood cell. All of these variables were entered into the multivariate analysis. The logistic regression model for good outcome (discharge modified Rankin score < 2) is shown in Table 3. Statins still had a beneficial effect on outcome with an odds ratio of 2.9 (95% CI: 1.2–6.7). OR, odds ratio; 95% CI, 95% confidence interval; NIHSS, National Institutes of Health Stroke Scale; WBC, white blood cell. Prior statin use is becomingly increasingly common in patients admitted with stroke. With further reports of the beneficial effects of statins on stroke prevention in elderly individuals with hypertension and vascular disease [5, 8], this trend can be expected to continue. This study suggests that statins may have a protective effect on stroke outcome at discharge, although the effect is much less significant than that reported in experimental stroke models. Older age, increased WBC and higher admission NIHSS score were also very significant outcome predictors in this elderly population. These factors might help explain in part why experimental stroke models may not always directly translate into human stroke. In this study it was not possible to determine if, or how many, strokes were avoided by the use of statins, or if any potential strokes were converted into TIAs or vice versa. Only a large population study of all individuals taking statins could answer this question. The greater rate of stroke risk factors such as coronary artery disease and diabetes may also offset any beneficial effects of statins on stroke risk and severity. One previous study in humans investigated the effect of pretreatment with statins  on stroke outcome and reported a borderline trend to better outcome at hospital discharge (early discharge to home). However, this prior study did not distinguish between hemorrhagic and ischemic stroke, and only 8.3% of patients were taking statins. Further, the cohort was younger (mean age 66 years) and the type of statin was not reported. In a preliminary analysis from the Heart and Estrogen Progestin Replacement Study (HERS) , reduced mortality in stroke patients with a history of statin use has been reported; in the current study lower mortality was also seen, but not significantly. An improved functional outcome at discharge in patients already taking statins when admitted to hospital could argue for the early initiation of statin therapy after stroke in those not already taking them. In this study there were 56/338 patients not pretreated with statins but who had been commenced on statins by the time of hospital discharge. The variable commencement and duration of statin treatment in hospital and the variable length of stay made it very difficult to definitively assess any effectiveness of statin treatment over the short in-hospital period (median length of hospitalization: 5.0 days). In a recent conference report  in a large cohort from the Citicoline trial, early initiation of statin treatment in the first two weeks of stroke was associated with better outcome, although no significant effect of statin usage pre-stroke on outcome was found. There have been a number of reports of the early initiation of statin treatment after myocardial infarction (MI), but to date the results are conflicting. Observational studies in coronary artery disease demonstrated that patients who are treated with a statin early after a coronary event have a more favorable outcome than those who are not [25, 26]. Early statin treatment in patients with acute MI has been associated with a reduction in one-year mortality . In a recent study, however, early statin initiation after acute coronary syndromes failed to demonstrate improved outcome . The overall cholesterol and LDL levels were close to the normal range in this study. Of note was that there was no correlation between serum cholesterol and LDL with stroke severity and outcome, possibly indicating that the beneficial effects of statins were independent of lipid lowering. The higher rate of preceding infection in patients taking statins may be an indication of immune modulation by statins [10, 29]. The role of white cell count and inflammation on outcome should be further studied as this was a factor associated with poor outcome . It has recently been reported that even in patients with proven indications for statin therapy (such as hypercholesterolemia or coronary artery disease), statins are highly underutilized . The statins that were mainly used in our study were simvastatin and atorvastatin. These are hydrophobic statins. The hydrophilic statin pravastatin has the most evidence for secondary prevention of cardiac events ; however only a few of our patients were taking this medication. This study has some limitations: a retrospective registry study may not adjust for all confounders such as type and length of statin treatment, outpatient compliance and efficacy of lipid lowering. It may be argued that patients with a final diagnosis of TIA were excluded from the study. However the proportion of patients with TIA who were taking statins (19.1%) was similar to the proportion of ischemic stroke patients taking statins (21.8%). Over the two and a half year period of the study, statin use increased, and was associated with improved stroke outcome. Pretreatment with statins was significantly associated with better outcome after the ischemic stroke. These effects seemed to be independent of lipid lowering and some possible immune modulatory effects of statins were noted. To confirm the effectiveness of pretreatment with statins on clinical outcome after stroke, a large randomized clinical trial study could be undertaken. Thanks to Vicki Hyneman for assistance with the preparation of data. SSY designed the study, collected and analyzed data, wrote the paper, and carried out critical revision of the manuscript. JD designed the study, analyzed data, wrote and reviewed the manuscript. JC collected data, wrote and critically reviewed the manuscript. ME collected data and reviewed the manuscript. SW collected data, wrote and reviewed the manuscript. JH collected data and reviewed the manuscript. LD collected data and reviewed the manuscript. AEB designed the study, collected and analyzed data, wrote the paper, and carried out critical revision of the manuscript.